Bright brings residential solar power to the developing world for $0 upfront. Backed by Y Combinator, First Round, and Collaborative Fund, they're building a modern subscription service for solar. Their first market is Mexico. 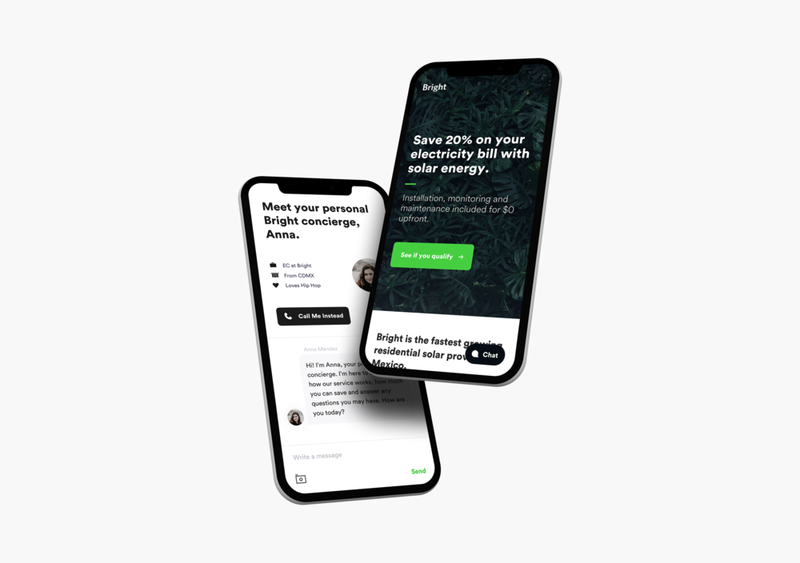 Bright wanted to see how product design could change its customer experience – previously mediated by phone calls and in-person sales visits. Based on insights from research with their customers, I designed a mobile-first digital platform from the ground up to 10x the service's scalability and growth potential. The new experience scales like a digital product while retaining the personal touch that's essential to its market. The most important strategy to win Bright's market of largely well-educated Mexican consumers is fostering trust. CCG is a biotech startup in Y Combinator's Summer 2017 batch. Based at Cambridge University, they use genomics and machine learning in tandem with blood tests to determine the effectiveness of cancer treatments much earlier than current methods. They needed a prototype to demonstrate product concept and functionality to investors at their YC demo day. I designed their first UI (for iPad, installed in a medical device that reads blood samples), and shipped an interactive prototype for demo. Cassette is a virtual notetaker with real-time transcription for iPhone. It empowers designers, researchers, writers and creative professionals to focus on conversations instead of notes, by making note-taking effortless. 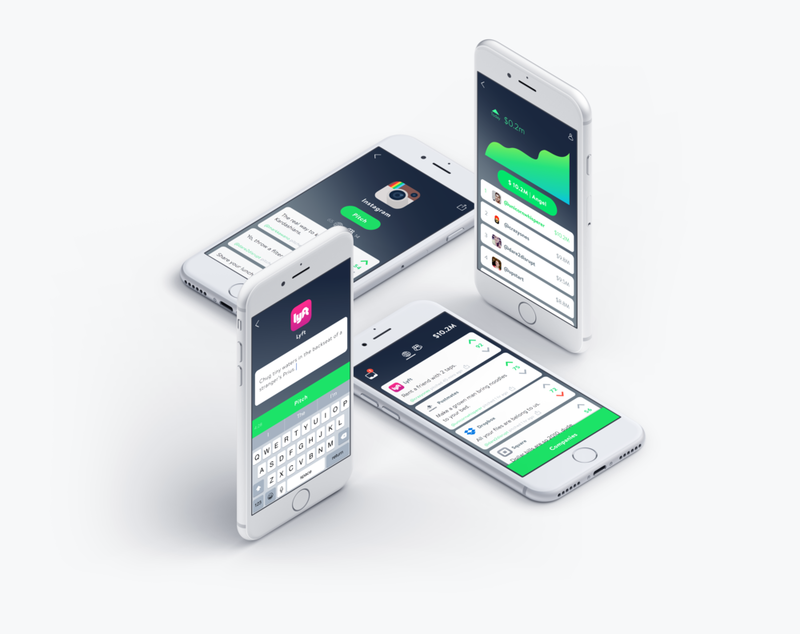 As founding designer, this project allowed me to flex a range of skills in addition to leading all aspects of product design – from discovering the concept through generative research and prototyping, to validating demand with marketing experiments, naming and designing the brand, finding a revenue model, and iterating for thousands of users. Previously, I led design for a couple products with the same 4-person team – backed by NEA, Jerry Yang (co-founder Yahoo!) and Ashkay Kothari (co-founder Pulse, acquired by LinkedIn); advised by David Kelley (founder IDEO, Stanford D.School). In our first step towards a mission to teach creativity with technology, I designed Funder – a satirical social game designed to study the creative process. We later found the concept for Cassette while researching a product for teaching Design Thinking to organizations at scale. Prior to moving to San Francisco, I worked on design, UX and content for several startups around Los Angeles. I studied Psychology & Cognitive Science at UCLA – bolstering design intuition with coursework and research focused on cognitive psychology, perception, neuroscience, computing, and human-computer interaction. My background studying human cognition and intelligent systems fosters a research-oriented, human-centered approach to design.